Note: for the complete HESK email piping guide please read HESK email piping article first. 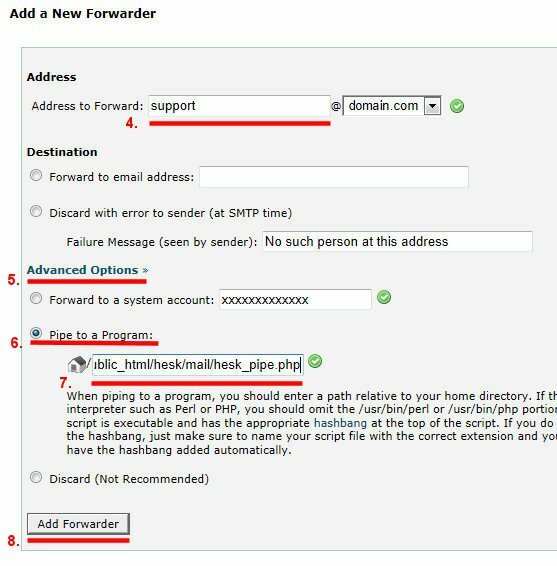 In the Mail menu click Forwarders. In the Address field enter email address you wish to pipe to, for example support@site.com. Note: The address you enter should be the same as the From: email setting in your HESK settings to allow customers replying to tickets as well.